We love to give recognition to our new friends. Here are the new patients that became members of our practice family this past August. We’d like to welcome you publicly & wish you all the best. Jordan Alferez, Maya Asumbrado, Christopher Barbaro, Sam Bikov, Umi Bradford, Derek Bradley, Michael Burke Jr., Elliot Burns, Luke Cantarero, Elia & Luna Cerrillo, Dylan & Hailee & Mia & Nikie & Stevie Costa, Nicholas Dillon, Tadeusz Piotr & Wiktoria Dyduch, Jake Eagleson, Melea & Melody & Mishael & Moriah Earley, Cyrus Farzad, Milan Fischer, Kaitlyn J. Foley, Lucas Fredette, Cora Freeman, Sophia Gomez, Siya Gupta, Keanu Gutierrez, Shayna Hershfield, Zachary Hyland, Avi & Eshan V. Jagdish, Joshua Johnson, Abigail & Emma Ketchum, Savannah Lansang, Gwenyth & Lucas Law, Abigail & Owen & Walter Lee, Krisna Lim, Rawley Martin, Jasmine Martinez, Isabella Mays, Ethan & Jacob Meltzer, Aniya Milton, Brooklyn Montes, Jordan Morinishi, Eamon Overman, Brody & Piper Owen, Idris Perez, Robert Quinayas Jr., Joel Ramos, Sasha Scott, Danielle Sonntag, Mailey Thai, Michael Truman, Josslyn Villareal, Davion & Devin Whitsitt, Taylor Williams, Anna & Rebecca & Sarah Wilson, and Carter Zimmerman. 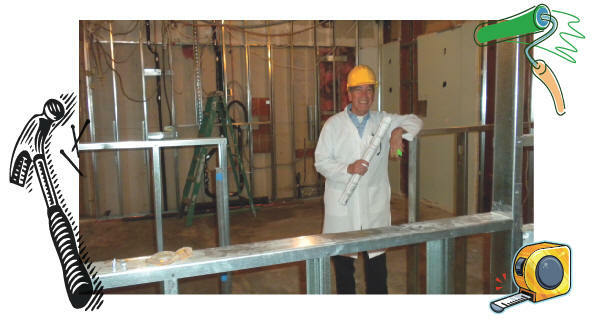 Dr. Stella and his team at Funtastic Dental are thrilled to announce the start of construction on our new Orthodontic offices. By mid-fall, we look forward to opening the doors of our new office adjacent to our current Dental Theme Park. We are working hard to create a space that will deliver the same fun and professional experience that our patients have come to expect. Our orthodontic patients will be treated and cared for in our new, state of the art offices. We have invested in the most current and innovative technologies within the Dental and Orthodontic industries. We hope to see you and your family at our new office! Look for our grand opening dates in the months to come. Why Does My Child Need Breakfast? Really. Great question. You know, as many as 60% of parents say their kids skip breakfast…YIKES! Well here are 4 reasons this is one meal they should never, ever miss. 1. 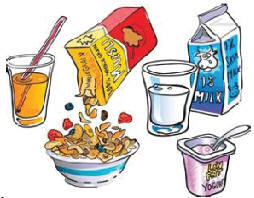 Starting the day on an empty stomach makes them more likely to overeat later, which can lead to obesity. 2. Kids who have breakfast report less tardiness to school and fewer school absences. 3. A morning meal helps them do better in school, including improved reading and math test scores. 4. A full stomach in the morning has been linked to better behavior in the class-room and with classmates. If you’re ready to renew your smile, triple boost your confidence and step into the body of a more “seemingly happy” person, then Crest Professional Whitestrips Supreme is the solution you have been seeking. Their effectiveness has been confirmed and the price compared to normal whitening sessions is ridiculously low – so low in fact that not buying them is downright foolish. This is the product of the month for its affordability, convenience, effectiveness, and they are safe to use. Please write us and let us know what your favorite new book is. 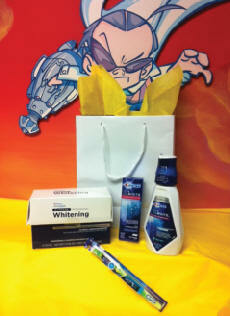 Logon to www.FUNtasticdental.com and send us a note with your personal review of a book you have recently read. What was that great summer read you can’t wait to tell your friends about. We would love to hear from patients and parents. Teachers too! Tell us what you are reading in your classrooms. We look forward to hearing about all your great finds. The weeks before your child returns to school after summer break can be very hectic even for the average family, but parents of children with food allergies have even more details to attend to. A new school year often ushers in new administrators, teachers, and other staff members, meaning that you, as a parent, must provide your child’s caregivers with the tools and information they need to protect your child. Check your medication supply, including expiration dates to ensure you have sufficient quantities of fresh meds. Prepare or update a custom food allergy emergency plan for your child. Schedule a meeting with the school nurse, administrator, your child’s teacher, cafeteria workers, and other caregivers (such as coaches) to review food allergy policies and procedures, including what to do in the event of a severe reaction. Make sure the school has sufficient quantities of your child’s medications on hand, that they are stored in a convenient location, and that your child’s caregivers know where they are. Many parents report that their children with food allergies are able to make it through school year after year without incident, but that is never an excuse for not remaining vigilant. Even if your child had a reaction-free year last year, you should schedule a follow-up meeting with administrators and staff every year to thank them, celebrate your past success, and review your plan. I wish you and your family a very safe, happy, and educational school year! If you and your child like to read we recommend you read “Taking Food Allergies To School” book by Ellen Weiner. If you are having trouble finding a way to let others know about your child’s food allergy in style, check out www.allergyapparel.com. Under a new law that took effect this year, California middle and high school students must be vaccinated against Pertussis (whooping cough). Also, all students entering 7th-12th grades in both public and private schools will be required to show proof of a “Tdap” booster shot before starting school. The new requirement was signed into law by former Governor Schwarzenegger. California’s parents are being urged not to wait for the new fall school year to get their kids vaccinated, since there will be no grace period and the regulations will be strictly enforced. CDPH recommends that parents have their adolescent children vaccinated now in order to protect them against Pertussis and to meet the 2011-12 school requirements. Parents should be aware that the protection from childhood immunization to Pertussis wears off, and adolescents may be at risk to the highly contagious disease without a booster. In addition to the Tdap booster, there are several important vaccines recommended for preteens and teens including the meningococcal vaccine, a second chickenpox shot (if they never had chickenpox disease), and the HPV vaccine series. Everyone older than 6 months old is recommended to receive a seasonal flu vaccine. Visit www.ShotsForSchool.org for more information. We are pleased to now offer text message appointment reminders to all patients, and we have received very favourable feedback already about this useful service. If you haven’t already,please give us your mobile phone number and you will be included in receiving text reminders for your dental appointments. 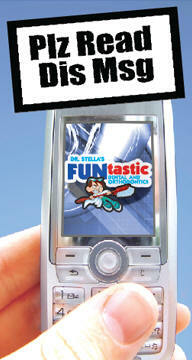 Also, remember to set 562-627-8800 as Dr. Stella’s FUNtastic Dental in your mobile phone’s address book. When you receive a text message from us, please reply as requested. We would strongly encourage patients to sign up to this very useful communication tool! Next time you visit us, please check with the front desk to confirm that we have your mobile phone number.